Lilliput offers a variety of resources to our community of families, potential families, parents, children, professionals, counties, social work professionals, and clinicians. Below is a list of excellent books that Lilliput Families has reviewed for relevance, content, and quality. We encourage you to purchase any of the books below that pertain to your family needs. If you purchase through the links below, Amazon.com will make a donation to Lilliput's services at no extra cost to you. For some children, being in placement is only a brief stop on the way to being reunited with their parents or placed with an adoptive family. Others may wander in and out of foster care, mental health facilities, and juvenile justice programs throughout their childhood. These are the children, victims of broken attachments, who are at greatest risk for sociopathic behavior as adults. This book provides the foundation, resources, and tools to help professionals and parents support these children on their way to adulthood. 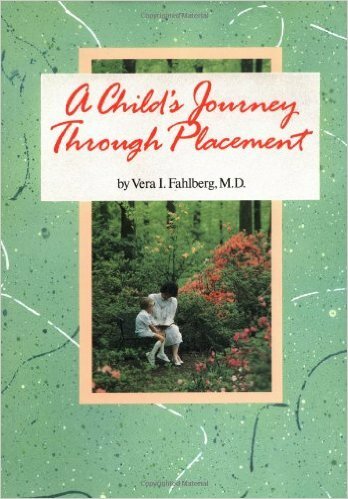 A Child's Journey Through Placement available on Amazon. All adopted teens have questions—questions about their adoptive family, about their birth parents, and about how adoption has affected and will continue to affect their lives. But not every adopted teen knows how to approach these questions or how to handle the intense emotions and high stress often associated with them. This guide has answers. 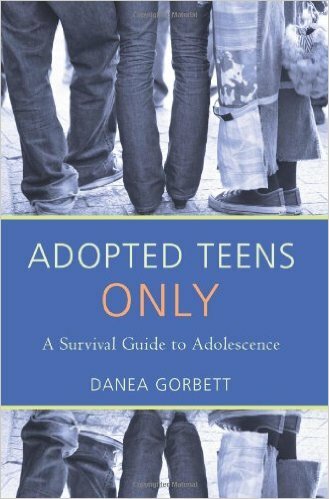 Offered is confirmation that what an adopted teen feels, thinks, wonders, and worries about is normal and important, and she helps teens to acknowledge and celebrate the unique gifts and many advantages of growing up adopted. Adopted Teens Only is available on Amazon. This book reveals the real hope that hurting children can be healed through adoptive and foster parents, social workers, and others who care. Many issues affecting today's adoptive families are examined. Addressed are various phases of the adoption process: early issues in the adoptive family; age-specific problems, as well as solutions; and clarification on issues of parenting or working with the abused or damaged child. Throughout, numerous case histories are cited. 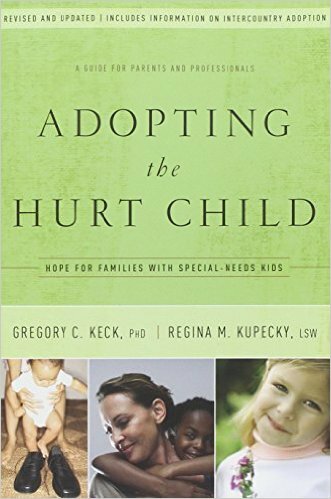 Adopting the Hurt Child now available on Amazon. Is there such a thing as a 'normal' family? Is one family better than another? Of course the answer to these questions is no, but children are often led to believe otherwise. Young people need to understand and appreciate that when it comes to families, they are all different! 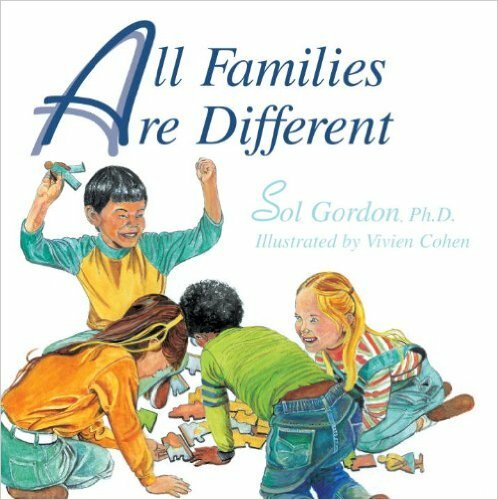 Get All Families Are Different on Amazon. Proper attachment is the most fundamental issue in a successful adoption, but what exactly does the term mean? This book answers that question thoroughly, and it provides solutions to a variety of specific attachment problems. Along with technical explanations of challenges such as self-esteem, childhood grief, and limit-testing, the book includes a tremendous number of personal vignettes illustrating attachment-related situations. Because the focus is special needs children, families who are coming together through foster programs, at later ages, or across cultural lines will find it especially helpful. 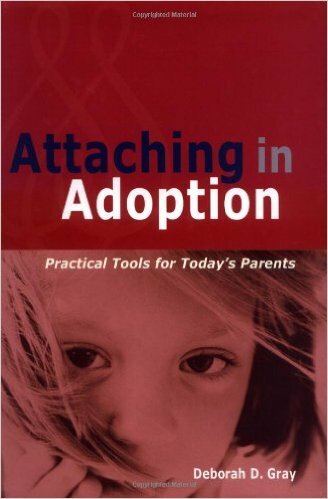 Get this Book; Attaching in Adoption: Practical Tools for Today's Parents on Amazon. A book that helps a family to consider an important and difficult question. Even though Morgan knows all about her adoption, the preschooler sometimes wonders about her "other mother." When she asks, "Did my first mother love me?" her mother reads the letter her birthmother wrote to her. It relates the woman's wishes to be the one to give her child a safe and happy home, but acknowledges sadly that this is not possible. The adoptive family's openness and love are evident. 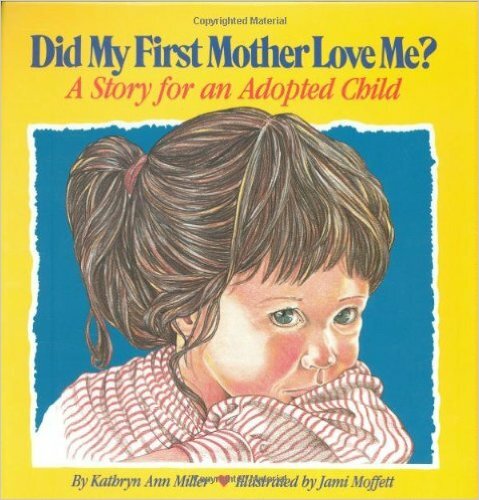 This book Did My First Mother Love Me? is available on Amazon. Check out this article from Psychology@Pepperdine about Empowering Adopted Children of Color in the Face of Racism and Discrimination. The young mans story is eye opening, this a is a must read if you're adopting a child of color. 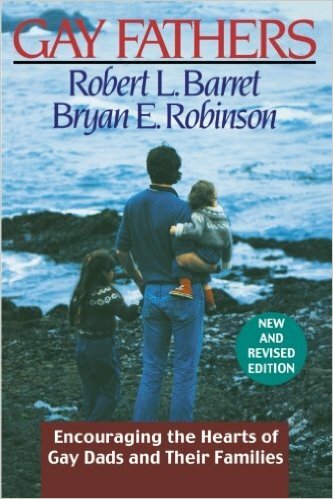 This book is written from a therapeutic and academic perspective and filled with the insights of gay fathers themselves. The book draws on new research to explain the difficulties that gay men face in parenting, and the ways in which their own feelings about their sexuality can affect their relationships with their children. The book features practical, readable, sober advice as well as a call for scientifically sound, longitudinal studies of gay parents and their experiences. Order Gay Fathers on Amazon. In this simple, easy and fast reading book you will learn: Why traditional disciplinary methods often backfire with difficult children; how to establish conflict prevention conditions within your work setting; how voice, body language and creativity can promote or discourage cooperative behavior; how to prevent or defuse antagonistic responses; how to help impulsive children to think before they act; how to communicate effectively with parents of difficult children; how to avoid burn out and take care of yourself when working with difficult children; guidelines for working with Attention Deficit Disorder children; ten basic principles for encouraging positive, compliant behavior in children, guidelines for positive communication with difficult children; crisis intervention strategies for regaining control of an out-of-control situation. 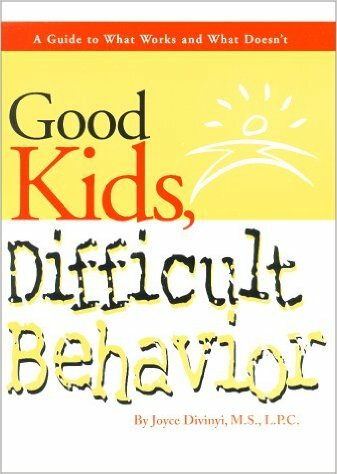 Good Kids, Difficult Behavior is now avialable on Amazon. 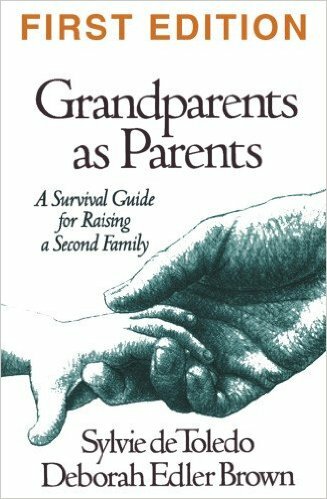 This practical guide is for grandparents who find themselves responsible for raising their grandchildren. The first nine chapters deal with predictable and unexpected issues grandparents may face in their relationship with the child: effects on the grandparent's life, effects on other family members, getting help for a troubled child, and dealing with the child's natural parent(s). Subsequent chapters provide vital legal information as well as descriptions of support groups, and appendixes list various sources of support. Recommended for parenting collections in public and undergraduate libraries. Order Grandparents as Parents: A Survival Guide for Raising a Second Family on Amazon. 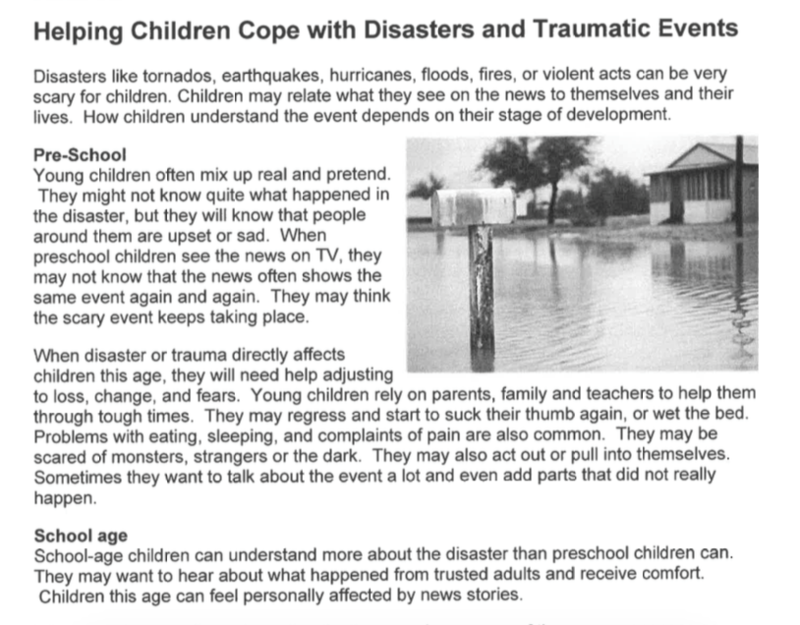 This guide for parents or guardians to help their children cope with the loss or traumatic experiences from natural disasters. Download the guide here. 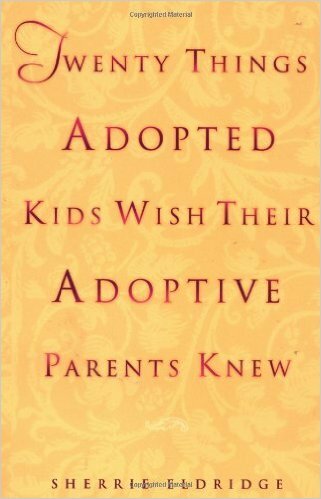 The author suggests that adopted children think about adoption more often than their parents may imagine. This book will clue parents in to adoption from children's points of view, and offer companionship to adopted children looking for others to understand "how it feels to be adopted." This book is based on personal interviews of adopted children between the ages of 8 and 16. They share their opinions on adoption and tell about their families. The range of feelings and attitudes demonstrate that there is no generic adoption experience. How It Feels to be Adopted is available on Amazon. This is an excellent communication tool kit based on a series of workshops developed by the authors. Provided is a step-by-step approach to improving relationships in your house. 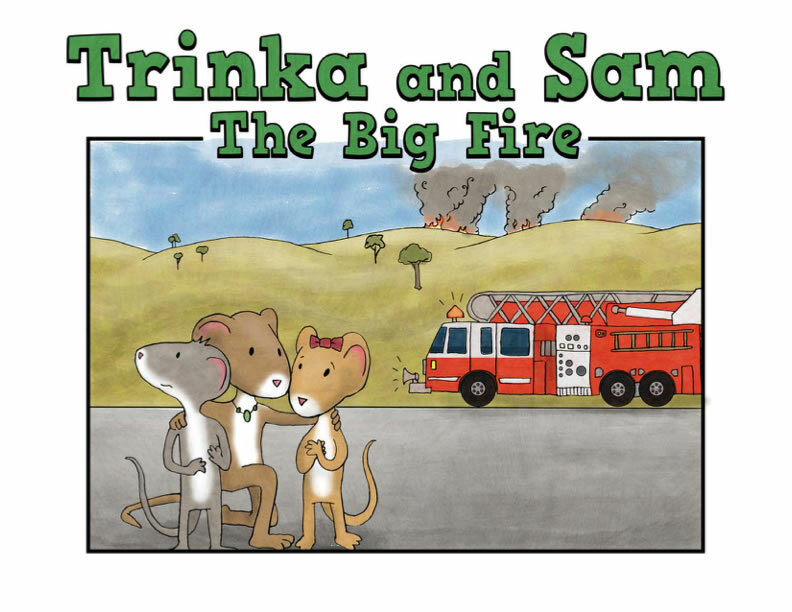 The "Reminder" pages, helpful cartoon illustrations, and excellent exercises will improve your ability as a parent to talk and problem-solve with your children. The book can be used alone or in parenting groups, and the solid tools provided are appropriate for kids of all ages. 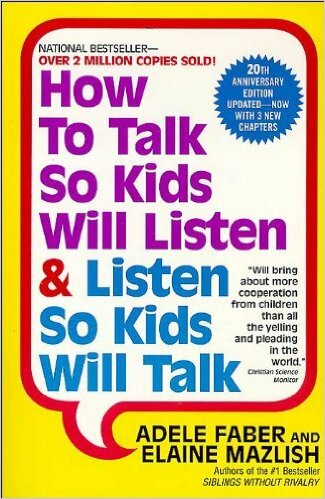 Get How to Talk So Kids Will Listen & Listen So Kids Will Talk on Amazon. This book provides creative, confident, pro-active, and provocative guidance for parents who are experienced veterans as well as those who are considering transracial adoption for the first time. Whether through domestic or international adoption the authors offer direction for building close, loving, and very real families consisting of individuals who are proud and culturally competent members of differing races. 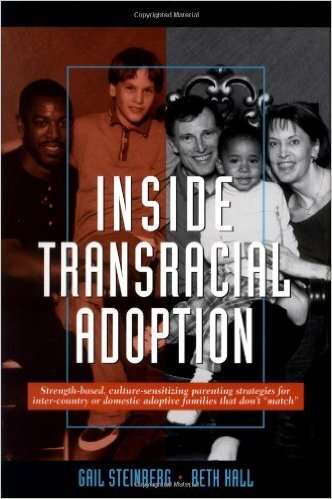 Buy Inside Transracial Adoption now on Amazon. Children who are adopted have predictable and often unspoken concerns about themselves and how they joined their families. In this wise and timely guide, the author helps parents anticipate and respond to those concerns in ways that build self-esteem. Through sample conversations, reassuring advice, and age-specific activities parents will find answers to such questions as When to tell, What to tell, and How to tell. 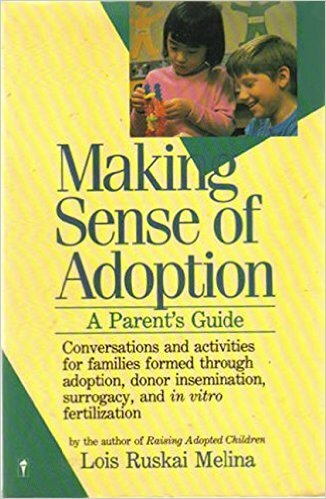 Making Sense of Adoption: A Parent's Guide is now available on Amazon. The primary issues that parents and professionals confront when they become involved with hurt children are addressed. There is something for just about everyone in the adoption world! The detailed examination of many cogent issues will help anyone whose life is touched by children and adolescents who have lost so much prior to their adoptions and yet have so much to gain in their new families. Reading Gray's work will leave no stone unturned. 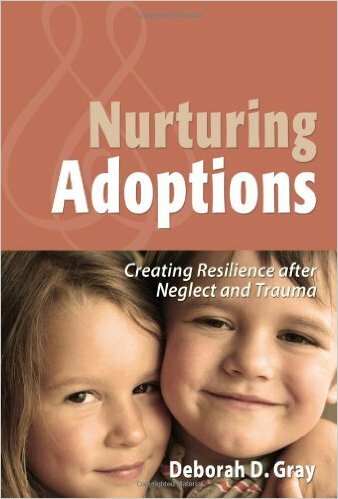 Get the book; Nurturing Adoptions: Creating Resilience After Neglect and Trauma on Amazon now. The authors explore how parents can help adopted or children in foster care who have suffered neglect or abuse. 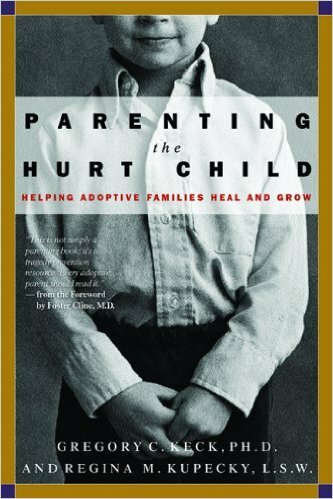 They begin by outlining changes in adoption and fostering procedures in recent years and use case studies to document the friction and disruption introduced into a household when a hurt, adopted child is brought into the family. They also examine attachment disorders and control issues as well as parenting techniques that work (praise, consistency, flexibility, anger management) and those that don't work (punishment, withholding parental love, grounding, time-outs, deprivation). Buy this book; Parenting the Hurt Child: Helping Adoptive Families Heal and Grow on amazon today. In this guidebook for grandparents parenting grandchildren, kinship care is explored as an alternative to foster care or adoption by strangers. The author herself has adopted a grandchild, and while the book is not her own personal story, the narrative reflects her understanding of the hard choices grandparents make when they step into a primary-care role. Examined are reasons a birthparent does not raise his or her child, the choices grandparents must make, and the far-reaching consequences of those choices, the ongoing relationships with birthparents, and dealing with the legal system. Raising Our Children’s Children available on Amazon. The author attempts to examine all aspects of gay and lesbian parenting. 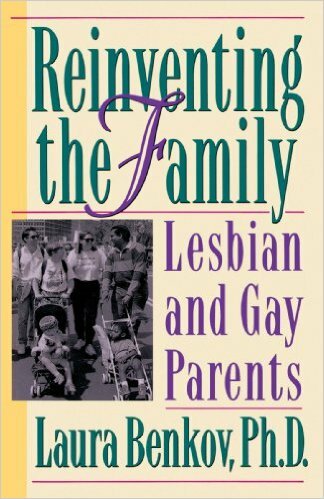 Among her topics are the experiences of gays and lesbian parents "coming out" of heterosexual marriages; legal developments in adoptions, foster care, and custody battles; artificial insemination; society's view of parenting roles; children raised by homosexuals; and the influence of homophobia. The author's research is combined with illustrative case studies. The case studies refute the detrimental assumptions hampering wider acceptance of gay parenting: children raised by homosexuals do not have significantly greater problems growing up than do those reared by heterosexuals, nor are they any more likely to be gay. Order Reinventing The Family: Lesbian and Gay Parents on Amazon. 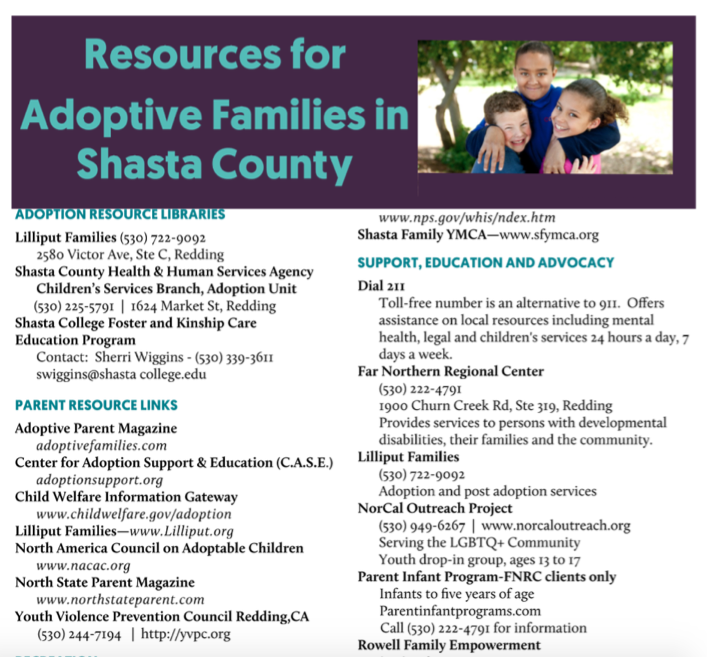 The Lilliput Team in Shasta County have put together this comprehensive resource guide specifically for post adoptive/resource families in Shasta County. Download Full Resource Guide. A clear and helpful guide for parents and others who work with adopted children. How to gather information about the birth family and how to present that information to a child in age-appropriate increments are lucidly explained. Suggested techniques are detailed and explicit, taking into careful consideration the life stage of the adopted child, including adolescence. 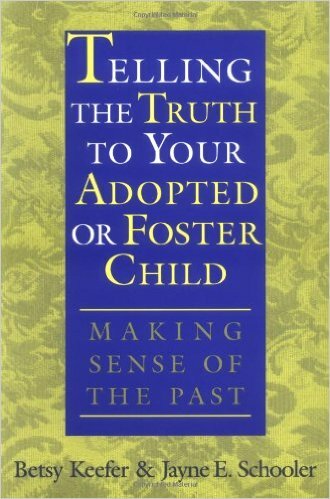 Order Telling the Truth to Your Adopted or Foster Child Making Sense of the Past now on Amazon. This book describes the grief processes, dilemmas, and potentials for healing of birth mothers and adoptive parents. The author’s authority and insight come from her combined experience both as a professional therapist and as an adopted child. The analysis is comprehensive, and all types of adoption, including transracial, special needs, international and foster care are considered. It is shown how the adopted child, birth parents, adoptive parents, as well as other family members benefit from contact and openness. 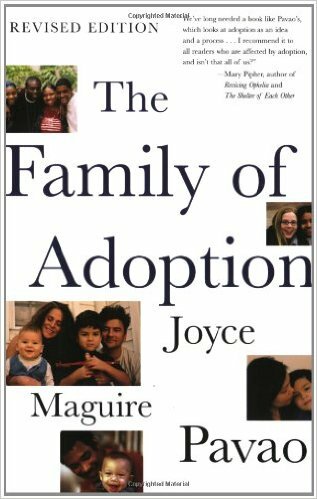 Get The Family of Adoption on Amazon. This is just the right book for any child taking that fledgling plunge into preschool--or for any youngster who is temporarily separated from home or loved ones. 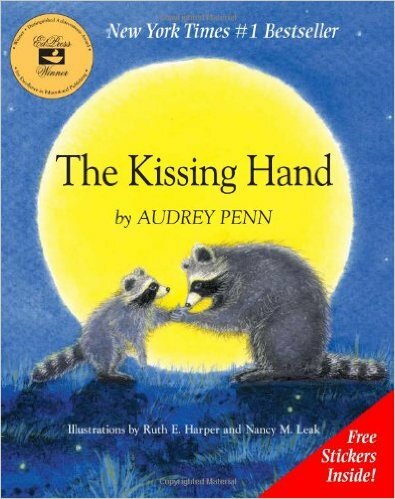 The rough but endearing raccoon illustrations are as satisfying and soothing for anxious children as the simple story. The Kissing Hand available on Amazon. 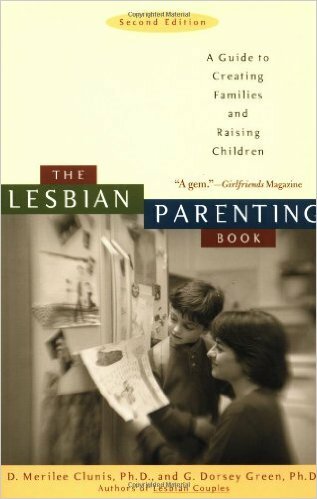 The Lesbian Parenting Book: A Guide to Creating Families and Raising Children by D. Merilee Clunis, Ph.D. and G. Dorsey Green, Ph.D.
A helpful resource guide that offers insight into things that maybe would not be considered. Seventeen chapters cover everything from deciding whether to have children to the role of the lesbian grandmother. The book is divided into two sections. The first addresses issues common to lesbian families, such as coming out, the role of partners and attempts to tackle big issues such as racism and homophobia. 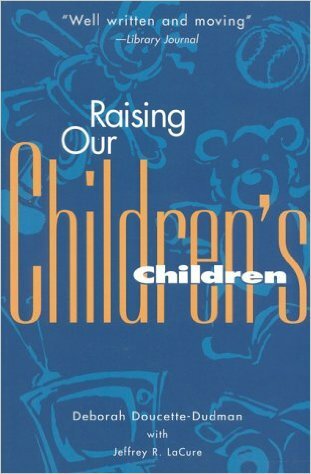 The second section of the book offers information about different stages of child development, from prenatal and birth to dealing with adult children. The Lesbian Parenting Book: A Guide to Creating Families and Raising Children available on Amazon. Ashley Rhodes-Courter wrote this book as a way to piece together the puzzle of her past and also to thank those who step up for child welfare issues every day. In this engrossing memoir, she chronicles her hardscrabble childhood in foster care, detailing glitches in the system and infringements of laws that led to a string of unsuitable-and sometimes nightmarish-placements for her and her younger half-brother, Luke. 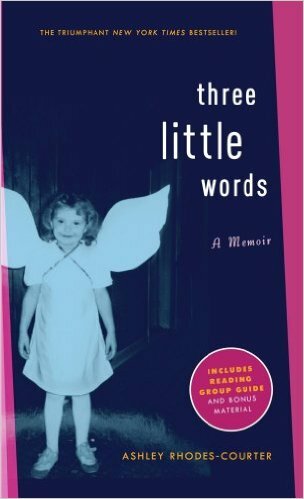 Get Three Little Words: A Memoir now on Amazon. 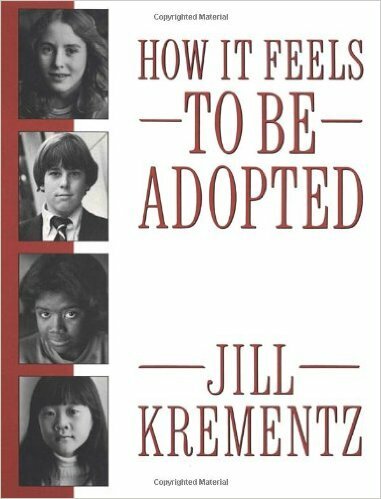 In an attempt to inform adoptive parents of the unique issues adoptees face, the author discusses adoptee anger, mourning, and shame and adoption acknowledgment while using case studies to illustrate how parents can better relate to their adopted child. Many issues adoptees and adoptive families face are illuminated. Unresolved loss and grief issues and the trauma that precedes all adoptions is also tackled. Order Twenty Things Adopted Kids Wish Their Adoptive Parents Knew on Amazon. This valuable manual is for teenagers wishing to reunite with their birth parents, those who do not want to search, and those who are unsure of their feelings. It's of great practical and emotional benefit. The book treats the feelings and thoughts of teenagers in a very straight forward way as does it give suggestions on how to survive the maturing years, for teenager as well as for his/her parents. Throughout the book, equal attention is given to biological and adoptive families, fathers, mothers, and siblings. Where Are My Birth Parents? 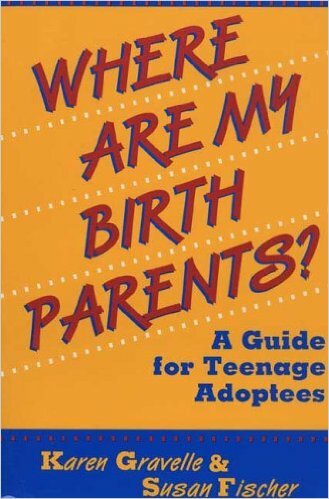 : A Guide for Teenage Adoptees is available on Amazon. The list of web links below is designed to give you additional information and resources external to Lilliput Families. 211 Sacramento provides referrals to more than 2,400 community services in the Sacramento area, including: Employment and Training, Housing Information, Financial Assistance, Children's Services, Senior Services, Food Programs, Health Care Services and more! AARP Foundation GrandCare Support Locator connects grandparents with national, state and local groups, programs, resources and services that support grandparents or other relative caregivers as well as grandparents facing visitation issues. You may connect with: Support groups, State or Local Navigator/Information and Referral Programs and Warm-lines, Grandparent Resource Centers, Respite Programs, Health and Wellness Services, Resource Guides and Newsletters, Training/Education Opportunities, Child Care Resources and Referral, Children and Youth Clubs and Programs, Caregiver camps, Legal Services, Advocacy Programs, Aging Agencies, Children and Family Services, Foster Care Programs. Adoptive Families Magazine is the nation's leading adoption magazine, recognized as a Parent's Choice Award Winner for four consecutive years. For more than thirty years, Adoptive Families magazine has helped families through every aspect of the decision to adopt, the process of adoption, and raising adopted children. Adoptive Families magazine is the only publication that keeps you informed about current adoption news, addresses important adoption issues, and guides you through every developmental stage of raising and nurturing your child. Each full-color issue covers the world of adoption with unmatched depth and sensitivity. You'll find articles by adoptive parents and professionals, as well as moving stories from adopted children that will help you better understand their hopes and fears. You'll not only look forward to receiving each bi-monthly issue, but also will want to save each copy to refer to as your family grows and changes! The American Adoption Congress (AAC) is composed of individuals, families and organizations committed to adoption reform, representing all those whose lives are touched by adoption. Through education and advocacy, AAC promotes honesty, openness and respect for family connections in adoption, foster care and assisted reproduction. AAC is Committed to: Increasing public awareness about the realities of adopted life for birth and adoptive families Changing public policies related adoption practices to acknowledge adoption as an extension of family. Legislation in all states guaranteeing access to identifying information for all adopted persons and their birth and adoptive families through records access and preservation of open adoption agreements. The right for birth family reunification for all adults, without prior restraint, through search and support group networking and/or social service assistance. The American River College Foster & Kinship Care Education Program provides free parenting education for foster parents, interested non-foster parents and kinship caregivers. Whether caring for a relative’s child or a child from within the foster care system, there is much to know and ARC can give the extra support through their specialized education classes. They can also provide connections to services and individuals that offer information and resources to help you make a greater difference. The California Department of Social Services (CDSS) website provides detailed information about California’s Kinship Support Services Programs (KSSP). California Ombudsman for Foster Care offers a variety of valuable services: Ensures the voice of foster children and youth is heard, and acts on their behalf. Creates an avenue for foster children and youth to file complaints regarding their placement, care and services without fear of retribution from those who provide their care and services. Acts as an independent forum for the investigation and resolution of complaints made by or on behalf of children placed in foster care and makes appropriate referrals. Provides children and youth with information on their rights when placed in foster care. Maintains a toll-free telephone number which foster children and youth may call from anywhere in California to express their concerns and complaints. Child Welfare Information Gateway promotes the safety, permanency, and well-being of children, youth, and families by connecting child welfare, adoption, and related professionals as well as the public to information, resources, and tools covering topics on child welfare, child abuse and neglect, out-of-home care, adoption, and more. A service of the Children's Bureau, Administration for Children and Families, U.S. Department of Health and Human Services, they provide access to print and electronic publications, websites, databases, and online learning tools for improving child welfare practice, including resources that can be shared with families. Welcoming a foster or adoptive child into your family and home is a great occasion filled with joy and happiness. Although just as with the birth of new born, there's a lot you must do around the house to make it "kid proof". This article will give you some helpful hints on how to optimize your house for your new foster/adoptive child. iFoster website provides resources to help raise our most vulnerable children, providing programs that provide life changing resources for at-risk children and youth to put them on the path to becoming independent successful adults. NACAC (North American Council On Adoptable Children) is a nonprofit organization dedicated to supporting adoptive parents, promoting adoption awareness, informing adoption professionals, and helping children find permanent, loving families. Serving parents and professionals throughout the U.S. and Canada, NACAC publishes material, conducts training, advocates for system change, and provides support related to: Adoption support and preservation, parent group development, adoption subsidies, adoptive and foster parent recruitment, transracial/transcultural parenting, child welfare system reform, kinship care concurrent planning. NACAC also holds the most comprehensive adoption conference in North America. In Minnesota, NACAC recruits foster and adoptive parents and provides peer support to adoptive families. Pact, An Adoption Alliance, is a nonprofit organization begun by two adoptive parents in 1991, Pact has developed a national reputation for excellence in serving all members of the adoption triad. Each year, Pact offers educational events attended by more than 1500 individuals, provides - free of charge - over 1000 crisis consultations to birth parents, and consults with hundreds of potential adoptive parents. Top priority is given to programs especially designed to support and inform adopted children and adopted adults of color. Teenagers and young adults are especially vulnerable to substance abuse and getting addicted. Early intervention by parents, family, and educators can go a long way. However, many parents get confused when they learn their kids are using drugs and have no clue how to proceed. If you or anyone close to you is having trouble with a struggling teen, this guide, "Teenage Drug Abuse – A Guide for Parents & Educators" has everything you need to know. Oprah Winfrey reports on how trauma plays a role in childhood development and what new methods are being used to help kids who have experienced it. Watch the full 60 Minutes Video Here.